Now in its 3rd year, I am delighted to extend the awards to two more educational establishments. I have the great honour of hosting the Kellie Miller Art awards at Varndean College Brighton, Northbrook Metropolitan College Worthing and Roedean School Brighton. As the awards develop, my ambition is extend this opportunity to more organisations in the future. I strongly believe in the value of teaching creativity to young people and I want to encourage schools and parents who recognise this fundamental life skill and who endorse this by delivering creativity and art throughout a child’s schooling, starting in early years though to A levels. Cass Art also shares these aims and is generously sponsoring the Kellie Miller Arts Awards. 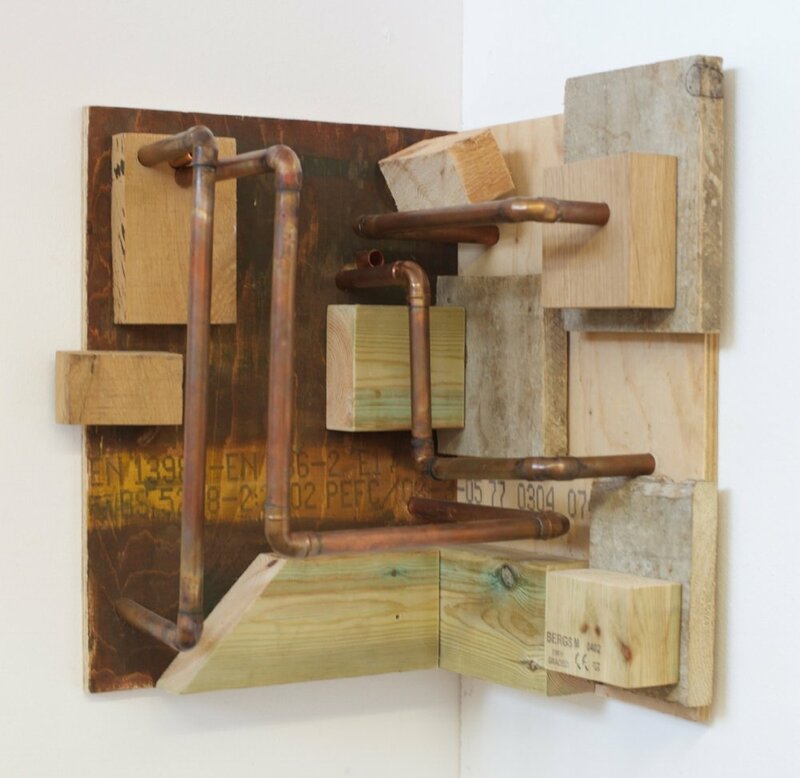 Jack Van Leuwen ‘Scavenging, Constructing and Creative Growth’ is a collection of recycled wood and metal sculptures. 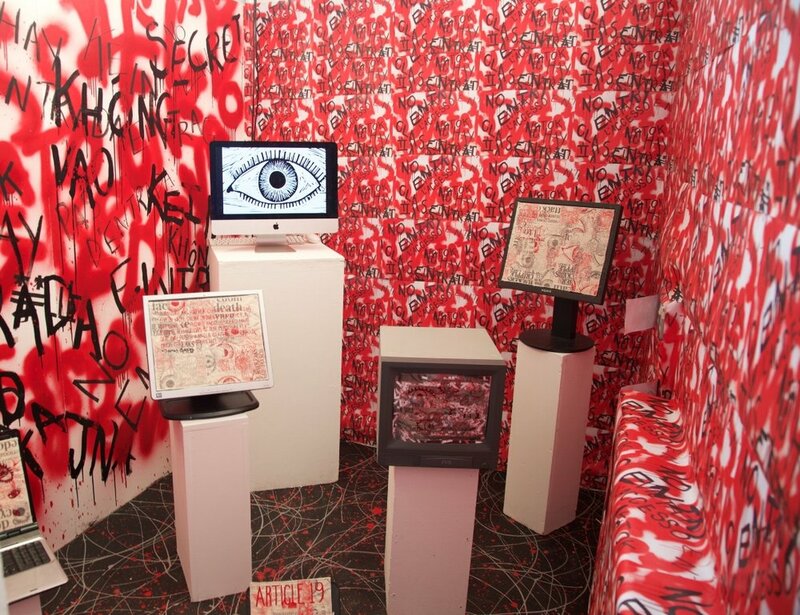 Jessie Moon’s Installation called ‘Take Control’ explores privacy and technology. Since the invention of the Internet and mobile phone she questions our right to privacy and whether this still exists. 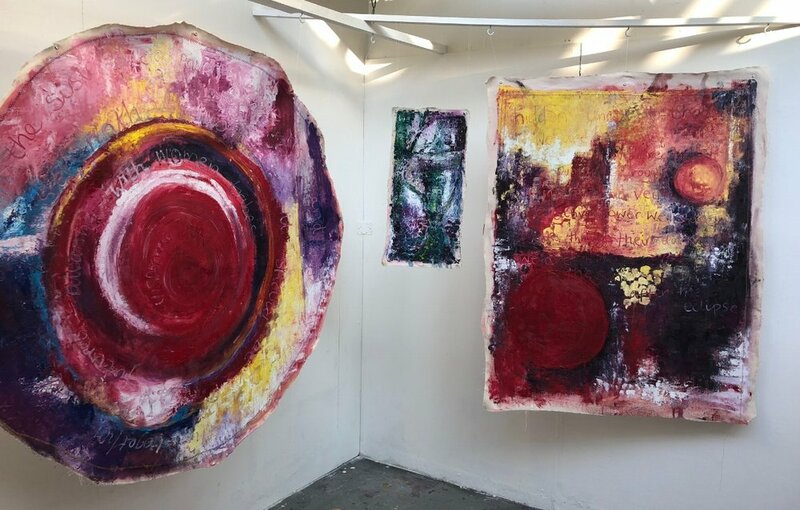 Maisie Ross-Talbot’s paintings and installation, entitled ‘Women are Strong’ is about empowering women in society. Jay Dix : Am I Less of a Man? 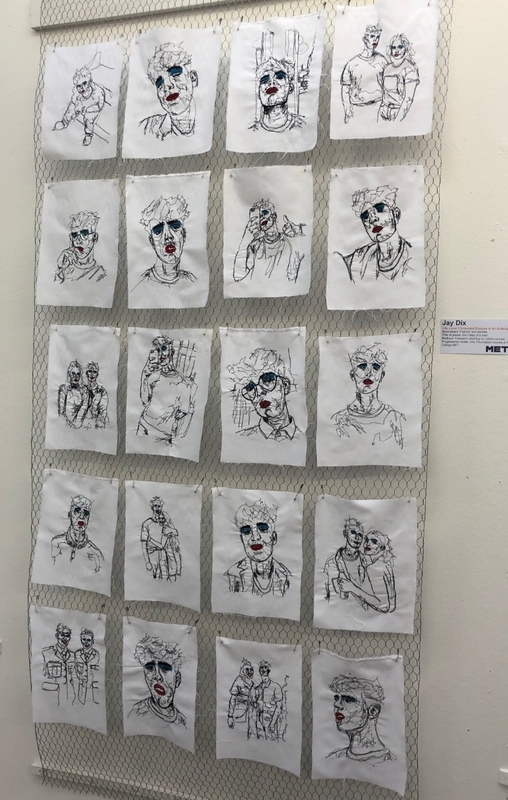 Jay Dix ‘Am I Less of a Man?’ a collection of freehand stitched portraits and self-portraits on cotton canvas that question society’s concept of masculinity in what would be a perceived female activity. Callum Taylor ‘The Cowman’ using the cow form to design and paint in a graphic way. Employing bold colours he demonstrated the ability to transfer his creations between wall art and product. The winner was Jessie Moon for her thought provoking installation, questioning whether the Internet helps people or just gives institutions greater power. Her work deserved to win not only because of the thought provoking issues raised but how she conveyed her message with her beautifully crafted display. As usual, the standard was extremely high with the shortlist selected from over 200 students in their Art and Textile Department. Elinor Knox- textiles employing various techniques including felting, batik, knitting, crochet with a fruity fertile quality. Maya Rutland- Structural textured tonal textiles that have function. Clothes that could be warn as art, with an appeal to both the catwalk and the High Street. Louie Morris's urban and abstract landscapes are a blend of architecture and people. The winner, Maya Rutland, was selected due to her visionary ability to take an idea from conception through to product.